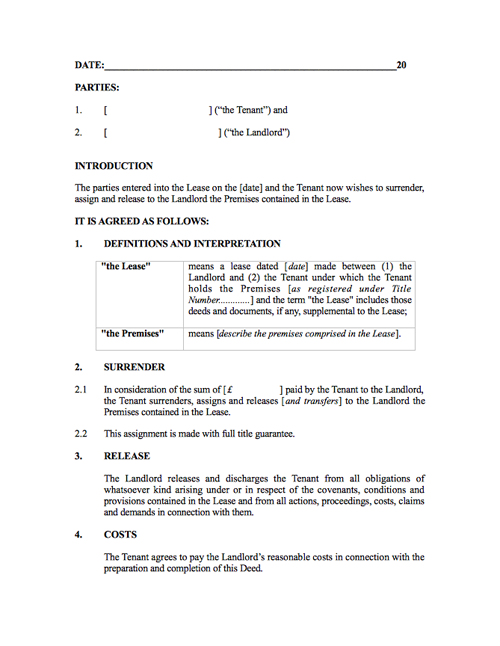 This legal document template is for use where a tenant surrenders his lease to his immediate landlord with the landlord’s consent and in consideration of a sum of money paid to the landlord by the tenant. You need this document if you are a landlord looking for a contract which will release a tenant from the lease agreement they have entered into with you, providing a straightforward way of terminating your agreement. This document is designed for use where a tenant surrenders his lease to his immediate landlord with his landlord’s consent and in consideration of a sum of money paid to the landlord by the tenant. Please refer to the additional notes on signing agreements and contracts at the end of these Explanatory Notes. These need to be completed with details of the Lease and Premises to be surrendered. 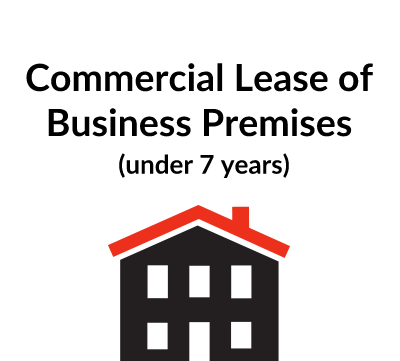 This Clause recites that, in consideration of a sum of money paid to the Landlord, the Tenant surrenders and assigns the premises contained in the Lease to the Landlord. In the case of registered leases the word ‘transfers’ shown in square brackets should also be inserted. 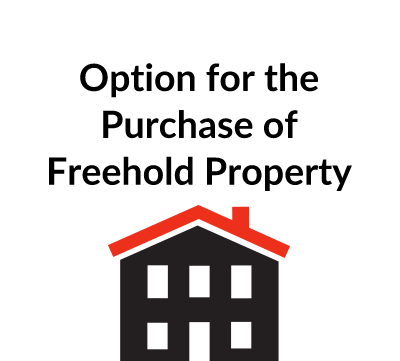 (c) the property is free from third party rights. 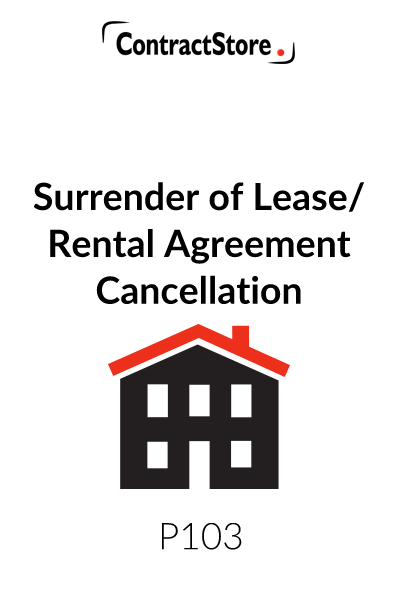 A surrender will release the tenant from any future liability under the lease but not in respect of past breaches. A tenant should therefore seek a release from all breaches. This clause sets out the responsibility for payment of legal costs. This clause excludes the rights of third parties that arise by virtue of the 1999 Act. The Act came into force on 11 May 2000 and applies to contracts entered into on or after that date. It allows the parties to a contract to confer rights on third parties so that a third party may enforce the contract as if he were a party to it.